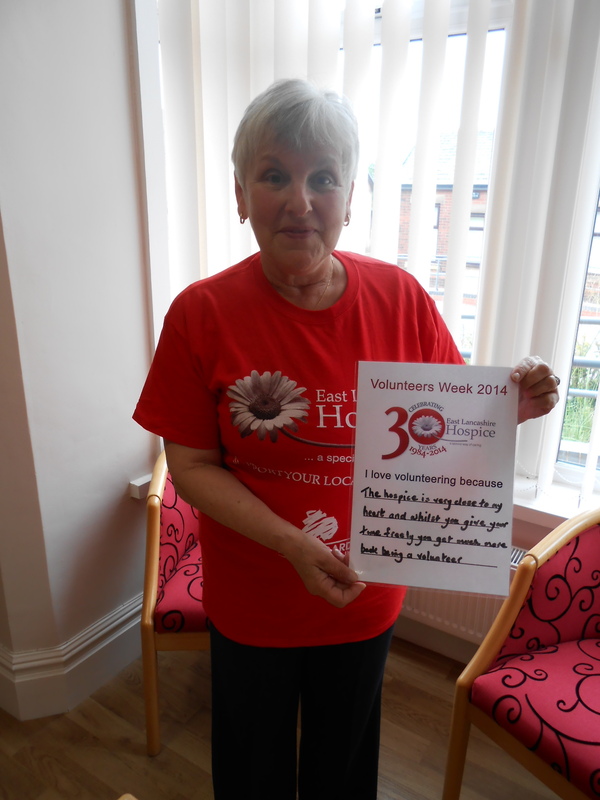 Laura Isherwood has been a volunteer with East Lancashire Hospice for 17 years. She got involved with the hospice during her recovery from breast cancer. Laura, from Blackburn, said: “I had a rare strain of breast cancer but I came out the other side after 12 months of chemo. The hospice was always there for me. “I had lost my husband prior to being diagnosed. I have three boys but I didn't want them to worry. At the hospice, I could talk to someone openly if I had a worry. “I lost my hair after two weeks. The hospice was one of the few places I felt comfortable going without wearing my wig. “When you're diagnosed with cancer, you think life ends. For me, it meant I started a new one. I took early retirement and enjoyed time with my grandchildren and doing the things that made me happy. “I attended day therapy for 18 months and then it was time to move on. I was getting better and my prognosis was good. There were 15 in my group and only two of us are left. The rest have passed away. “People think hospices are full of doom and gloom - but I'm proof that you can come out and lead a happy life. Time is so precious. “People do die but there last days, weeks or months are wonderful. The care they receive is second to none. One lady said she felt like her husband’s wife again, rather than his carer. Families get to make memories rather than having to concentrate on medication and care. Laura, who knows everyone at the hospice, said the facility is very close to her heart. Now, Laura volunteers on reception every Wednesday afternoon, and organises the volunteer’s rota for events. “It's such a happy place. I have a wonderful band of volunteers who give their time freely and often, and they always have a smile. “Anything the hospice does I try and help. I don't think ‘no’ is in my vocabulary, but as much as I give, I get back 10-fold. There's not a day when I don't look forward to going in. “Nine out of ten times I manage to get enough people to help out, but it's particularly hard in June and September because of holidays. “There’s roles inside and outside the hospice - befriending, inpatients, the hospice shops, events - there's lots to choose from. If you can spare a few hours, call fundraising on 01254 287 012.